The spider was 2.5 cm long and 1.5-2 cm wide. I've never seen a spider like this before in my area. Pretty sure she’s in genus Araneus of family Aranidae. 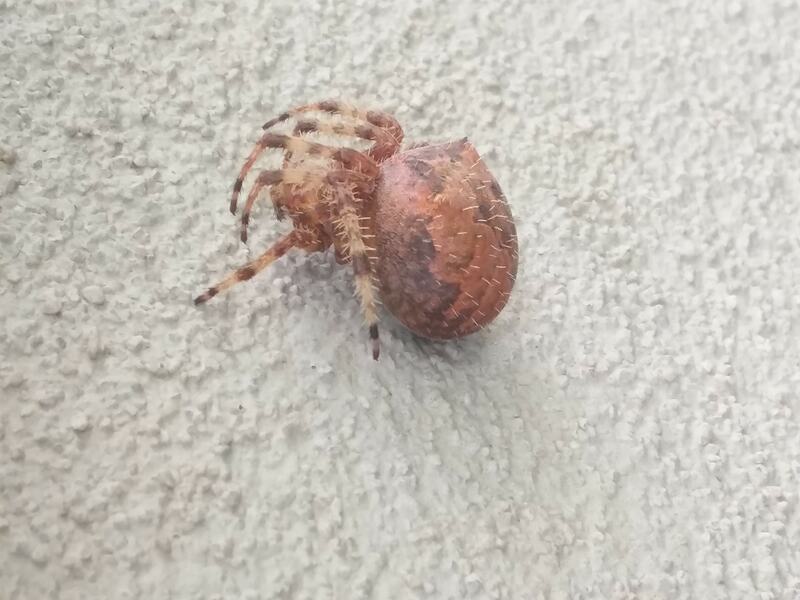 She has the color pattern of Araneus diadematus plus “shoulder” points, hairiness, a strong dorsal line. I don’t know what that combo makes her.